I just went to the most fantastic show….I’m not sure I’ve ever been to a show where the acts were so well-matched musically, what a great combination. 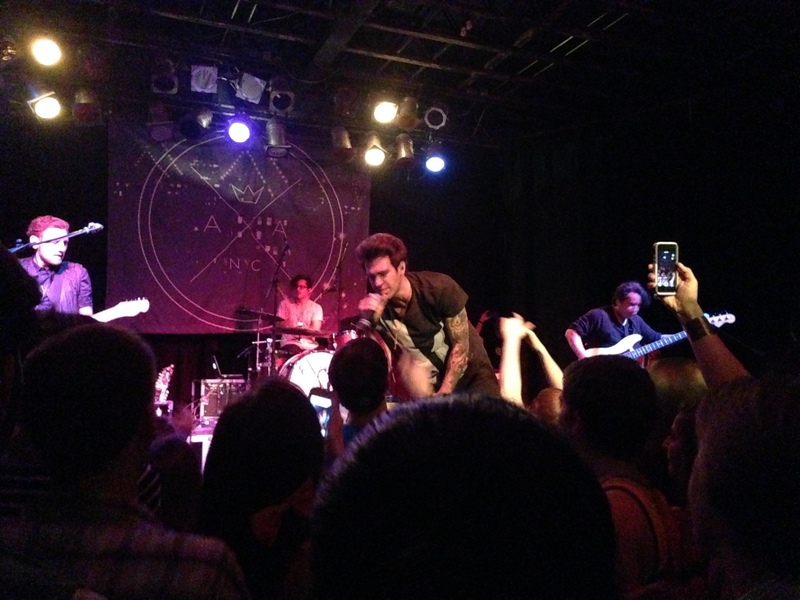 The show was last week at Exit/In here in Nashville. I really like going to shows there, it’s really not pretentious, there’s lots of room, and the stage is high enough that you can see the performers well. It’s the little things, you know? First up, Brooklyn-based duo Oh Honey, comprised of Mitchy Collins and Danielle Bouchard, with a super-talented band backing them (not to mention that guitar player Ian Holubiak is disarmingly beautiful….it was hard to look away). I hadn’t heard of them before this show, but I instantly became a fan. Mitchy and Danielle have voices that blend so beautifully; Danielle’s voice is pure and clear, with Mitchy’s smooth and tender voice melodically supporting it; it kind of reminded me of Of Monsters and Men (but so, so much better). Their music is anthemic and rollicking, it’s a really good time. At one point during the show, Mitchy told us that they were fans of the 90’s, and the band did a great folk-rock cover of TLC’s classic “Scrubs,” inviting us to all sing along. One thing for sure, when bands come to Nashville and ask us to sing along, it’s going to sound good. You can bet on it. They were selling a $1.00 download code entitling the purchaser to four songs, which sounded like a fantastic deal to me, and apparently to everyone else in the venue; I made a fast beeline to the merch table to get my hands on some music, but much to my chagrin, they were sold out. Oh Honey is currently gaining notoriety, with their song “Be Okay” featured on the March 23rd episode of Glee, joining singer/songwriter James Blunt on tour for the rest of spring, and opening for The Fray this summer on a tour that will bring them back to the Music City on July 19th. Next up, Nashville’s Wild Cub. I got hooked on Wild Cub in the summer of 2013 the first time I heard the sweetly captivating and bouncy “Thunder Clatter.” It even won top honors in my 2013 Super Superlative Song List for the Best Use Of Handclaps category…since then, I’ve been following the band, who has been, for a lack of a better way to put it, totally blowing up. “Thunder Clatter” was featured in a Bose commercial last summer, the band has made the rounds on the late night talk show circuit, and are playing upcoming music festivals like Counterpoint, Hangout, and Firefly (in 2012, Wild Cub was one of three winners of Nashville’s Road To Bonnaroo competition, earning a spot on the 2012 Bonnaroo lineup). On the road for the last three months, they’ve certainly been busy, and were back home to play this one show before heading to California to perform on Conan. It’s no surprise however, because what Wild Cub is doing is relevant and current, capitalizing on the resurgence of the New Wave sound made popular in the 1980s, reminding me of the days when I was a very little girl whose parents would not let her watch videos on MTV, when MTV still played music videos (can you even believe such a thing?). Opening with the synth-y “Shapeless,” we embarked on a wild ride with Wild Cub; they bring unstoppable energy with the execution of every song. There are two synth players, one of which doubes on guitar, plus another guitar and a bass, drums, with lead vocalist Keegan DeWitt frequently tearing up a pair of timbales Sheila E.-style. With propelling drum beats, driving bass lines, and electronic enthusiasm, I really can’t adequately convey the energy generated by this performance; these guys put it all on the table, and we adoringly accepted everything they bestowed upon us. They ended their set with “Thunder Clatter,” bidding us to clap along, which made me smile (see above re: the 2013 Super Superlative Song List post). 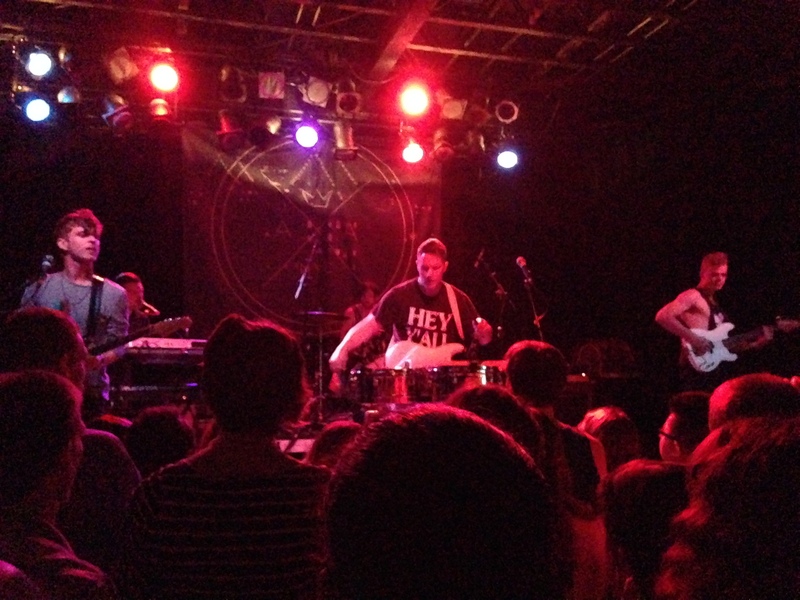 With their full-length album, Youth, out now, they promised to return this summer on tour supporting it. 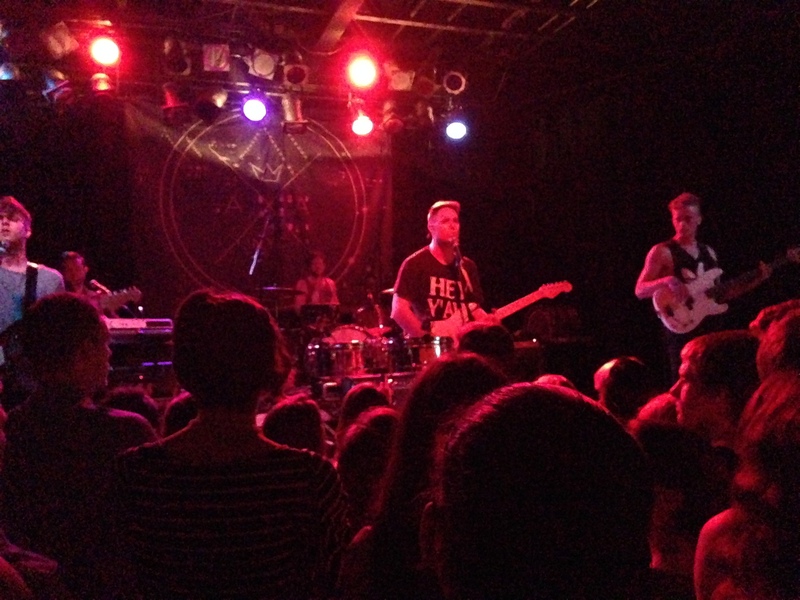 Bravo Wild Cub. I’ll see you again. 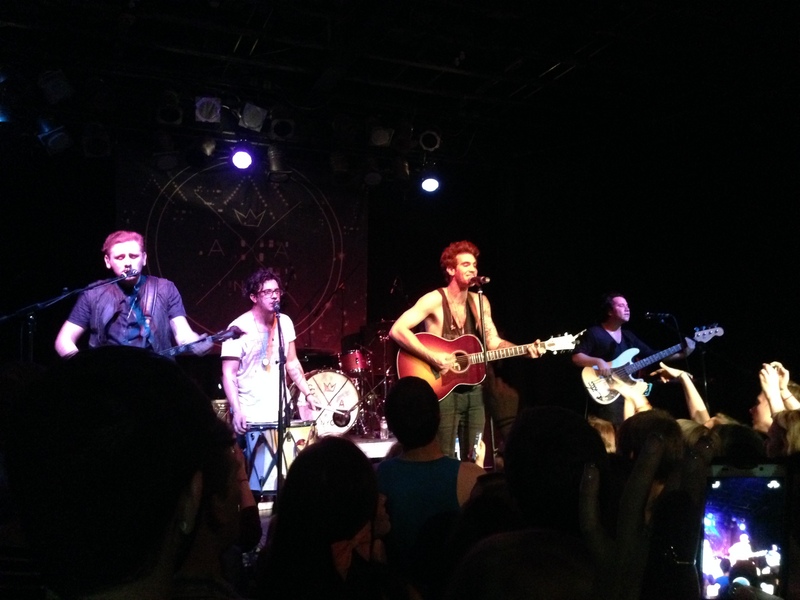 Finally, headliner American Authors took the stage, and the wild ride continued…I became enamored with American Authors in the spring of 2013. I was on a trip and “Best Day Of My Life” and “Believer” became the soundtrack to my adventure. 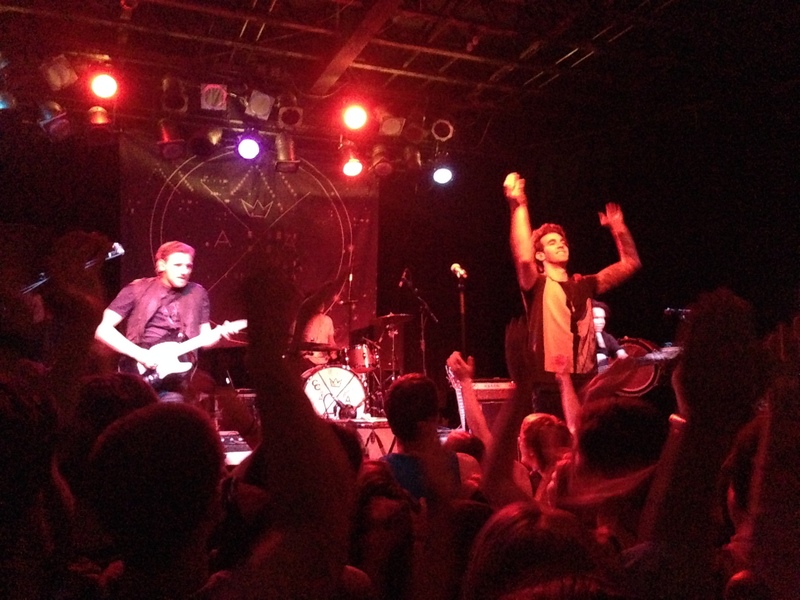 If you aren’t familiar with American Authors, you should be; their music is happy, bright, and eternally optimistic, exactly the kind of music the world needs. They began the show with toe-tapper “Think About It” and moved into the driving “Luck,” the crowd dancing and singing with them. Matching, if not surpassing the energy brought by Wild Cub, American Authors has already mastered the ability to interact with an audience. Lead singer Zachary Barnett presides over the festivities, stretching his long, beautiful, tattooed arms over our heads as he sings, the band enveloping us in an ocean of sound. Guitar player and vocalist James Adam Shelley’s banjo and mandolin contributions, along with Dave Rublin’s grounding bass rhythms, exponentially increase the excitement. Drummer Matt Sanchez absolutely kills it, you can tell he can hardly bear to stand still. Road-inspired anthems like “Home” (I’m not trying to stop a hurricane/I’m not trying to shake the ground below/I’m just trying to find a way to make it back home), the story-telling “Best Day Of My Life” (I had a dream so big and loud/I jumped so high I touched the clouds), and the delightful banjo feature “Trouble” (We take our time to see what is up ahead/But we’re scared of the past and what is left/We’ll stay inside and never let out our hands/And we’ll pretend that the world, it will never end/No, it will never end) are all crowd-pleasing sing-alongs; at times, this band reminds me of a less pretentious/more approachable Mumford and Sons. 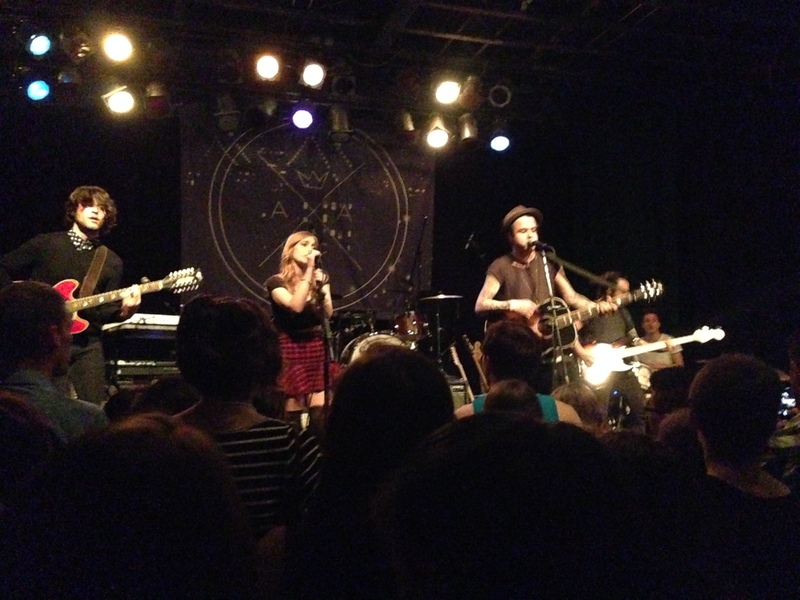 They performed most, if not all, of their new Oh, What A Life LP, and even put an indie spin on a cover of “Cruise” by Florida Georgia Line. The show ended with an encore of “Oh, What A Life,” one of my favorites on the album, with copious amounts of camaraderie-inducing gusto; I really didn’t want it to end. What a fantastic show; these three wonderful groups totally gave it everything they had. I could have listened all night. All three are on tour for a while, and will probably be playing in a festival near you this summer, you should definitely check them out. More than once.